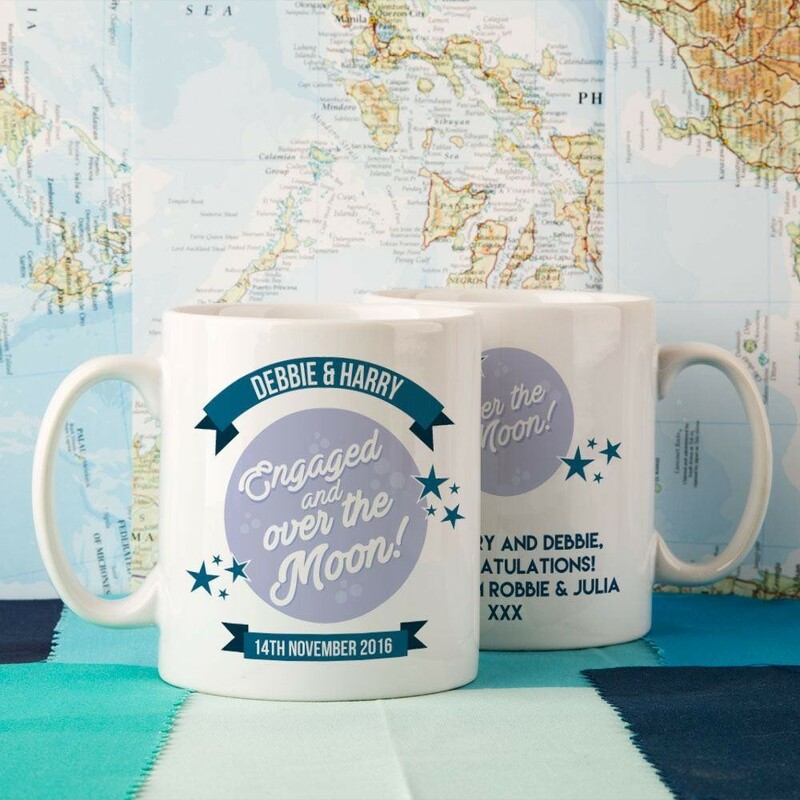 A gift with a personal touch for a newly engaged couple! 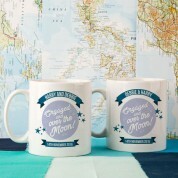 Our quirky, adorable couples mug set is personalised in house with the couples first name and special date. The design shows a large, purple moon with a dark purple arch of text above, reading the couples first names. 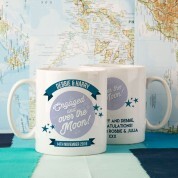 In scripted writing it reads: "Engaged and over the moon!". 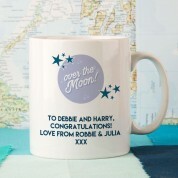 Blue stars complete the design, along with a personal message on each mug. Our cute his & hers mug set will really look the part on a couples coffee table and it is sure to be a conversation starter. The couples are sure to own nothing quite like them! They will love to show them off when entertaining guests... just their cup of tea!